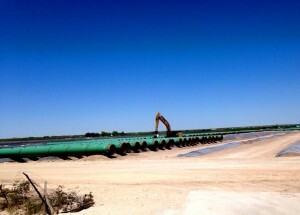 The San Angelo-based railroad that’s already shipping pipe into the Fort Stockton area for Energy Transfer’s planned Trans-Pecos Pipeline is in talks with the company and its building contractor Pumpco, Inc. to carry pipe farther south on the South Orient Railroad. 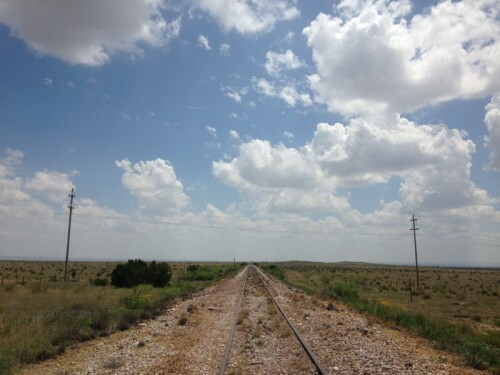 The entire railroad stretches through Brewster and Presidio Counties to the U.S. – Mexico border at Presidio, though its southern lengths beyond Fort Stockton haven’t been used in years. Elizabeth Grindstaff, V.P. of Sales and Marketing for the Texas-Pacífico Railroad, says there’s not a set plan for the shipments yet, but that if the deal comes together, it would be the farthest south the company has carried loads since 2006. 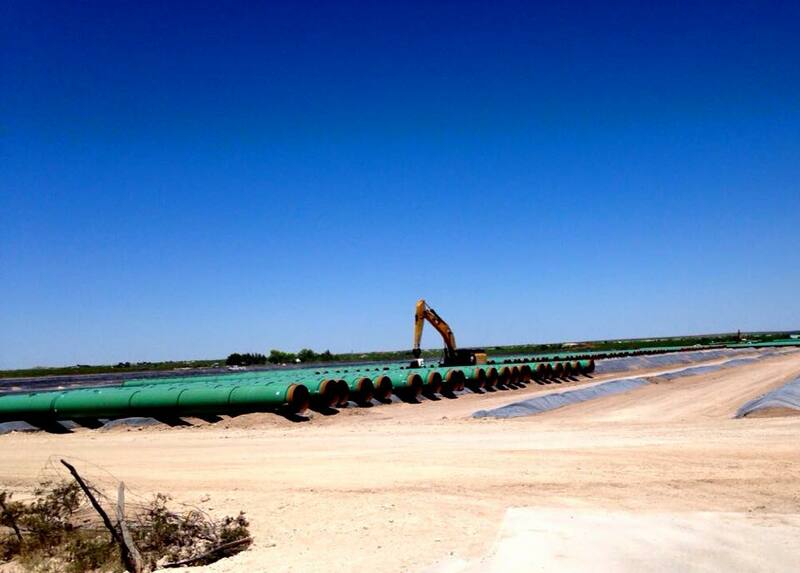 The company recently began transporting sections of the Trans-Pecos Pipeline to a staging site southwest of Fort Stockton. Texas-Pacífico is a subsidiary of Grupo Mexico, a global copper mining company and owner of Mexico’s largest railroad system, Ferromex. In 2001, Texas-Pacífico entered a public-private partnership with the Texas Department of Transportation (TxDOT) to buy the line from the South Orient Railroad Company. TxDOT chipped in $6 million, Texas-Pacifico paid $3.5 million. The railroad agreed to re-build the Presidio-Ojinaga rail bridge that burned to the ground during two fires in 2008 and 2009. Though the project’s lagged behind an expected finish date of June 2014, there have been recent signs of progress. This week in Washington, D.C., a delegation of politicians from Presidio that includes County Judge Cinderella Guevara, City of Presidio Mayor John Ferguson and County Commissioner Jim White are lobbying for expedited federal help to build new rail bridges across the Rio Grande. The delegation will present their case before the Binational Bridges and Border Crossings Group, a group compromised of technocrats and politicians from the United States and Mexican governments. The renovation of the South Orient Railroad has been largely fueled by the until-recently booming oil and gas industry in West Texas. In an annual inspection from last year, TxDOT found of the 23,558 total carloads the railroad shipped, 89% were frac sand or crude oil. The year-end totals represented a 121% increase in shipments from 2012. 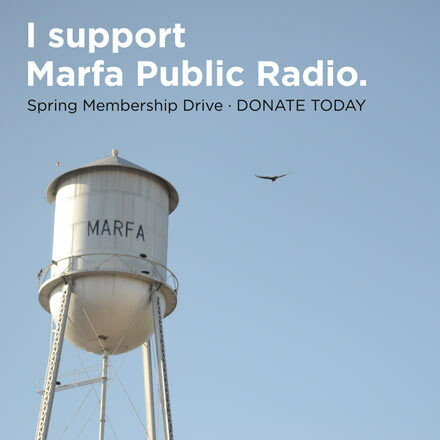 While the money the railroad would make from shipping parts of the Trans-Pecos Pipeline into the Big Bend region could speed up the renovation project, Grindstaff said that project will still proceed even if the deal falls through. “This is just another way to a section of that part of the railroad done, prior to the opening or re-opening of the international bridge,” she said. This year’s inspection of the South Orient Railroad recently wrapped up and is expected to be released within the next few months. This entry was posted in KRTS News and tagged Energy Transfer, Natural Gas, Pumpco, Railroads, Shipping, South Orient Railroad, Texas-Pacífico, Trans Pecos Pipeline. Bookmark the permalink.